What is the Kosher Certification Process? The intricacies of modern day food technology make it virtually impossible for anyone but an expert in the field to know whether a processed food is free of any trace of non-Kosher ingredients. So all processed foods and eating establishments require certification by a reliable rabbi or kashrut supervision agency. Numerous market studies have demonstrated that consumers will most often select a product with a Kosher certification over a similar item that is not certified. Furthermore, these same studies reveal that Kosher certification is considered a plus among a wide spectrum of consumers both Jewish and non-Jewish. There are many factors responsible for the explosive growth in Kosher certified products, and many reasons why Kosher consumers have an influence in the market place that goes way beyond their actual numbers. This is particularly true in the United States with its huge supermarket chains that strive to have the same items in all of their stores all serviced from one regional warehouse. In recent years Europe has experienced a dramatic increase in the demand for Kosher, while in Australia, the interest in Kosher is just beginning to become popular. 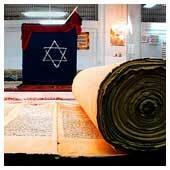 If you are planning to export products to Israel then certification is an absolute necessity. Assuming that your company has done some market research and determined that it would probably benefit by acquiring a Kosher certification, how does one go about selecting the right Kosher certification that will satisfy your company's particular needs? Unless you are a local retail establishment whose Kosher certification needs are best satisfied by the local rabbinical council, you are about to undergo a bewildering journey of trying to compare the merits of several different certifications. They are certainly not all identical to each other. Rabbinic certification and supervision over food production is important because Kosher laws are often significantly more complex then they appear. In addition, for observant Jews, only individuals committed wholeheartedly to the Torah can be deemed reliable to enforce the rigorous standards it demands. Finally, modern technology has made food production, storage and transportation complicated and Kosher laws need to be addressed in this contemporary context. Obtaining Kosher certification will expand your market potential. The major reason for obtaining it is if you can gain more customers than it costs you to obtain the certification. In light of this, we offer an economical and competitive fee structure. In addition to observant Jews, many other people, including Muslims, Seventh Day Adventists, vegetarians, vegans and health conscious individuals look to Kosher certification to ensure the quality of the food they consume. Reflective of this, the Kosher industry is a 30 Billion dollar market that is growing at 15% a year. Having Kosher certification is a competitive advantage in the ever challenging business environment of the modern food industry.